Health and Beauty Girl : Pure + Simple and Holistic Vanity #earthday Celebration Specials! Pure + Simple and Holistic Vanity #earthday Celebration Specials! 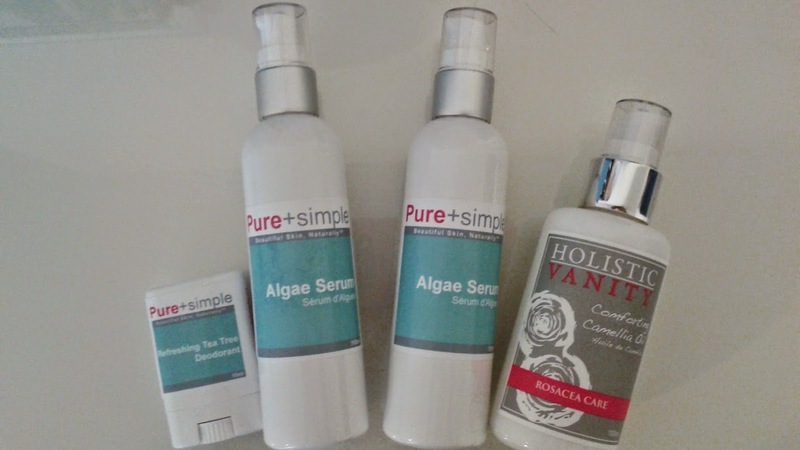 I have been shopping at Pure and Simple Spa's for a few years now. For the last two years I have participated in their amazing Earth Day celebration and I already can't wait until next year! All you have to do is bring in some empty skin care products from any brand for recycling and they will give you 50% off of their products (Maximum 3 products per person.) Included in this sale is the Pure + Simple line, Holistic Vanity as well as their Minimalist line. They have 3 spas in Toronto and 1 in Waterloo. If you live out of town they even offer a mail in program to participate. I even received a free sample size of their all natural deodorant. Remember, you will get 50% off on Earth Day, April 22nd. If you miss this sale they always have monthly sales on different products, usually 15%-20% off. If you're in the Toronto or Waterloo area and want to participate, they are open until 9pm tonight (Waterloo is open until 7 pm.) Or you could call their head office and ask about the mail in program.